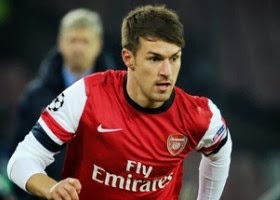 It has been revealed that Aaron Ramsey has explained choosing Arsenal ahead of Manchester United. It is said that the Premier League champions were also keen on the Gunners star when he was preparing to leave Cardiff City. “I had options,” he told the Daily Mail. “Manchester United was one. But Arsenal flew us (Ramsey and his family) to Switzerland privately, to Basle where he was doing commentary for the Euros. We went to his hotel room. He talked us through everything. And he said he wanted to take me straight into the first team. “I think United wanted to loan me back to Cardiff.